Pop-up buildings and businesses come in all forms; we've seen nightclubs, coat checks, and restaurants; but just in time for summer festival season, there's another new trend arising in the pop-up shower. In an environment where everyone's feeling dirty, one company, Posh Wash Showers has even taken the pop-up shower concept to the next level with Shower Village designed for clean living. 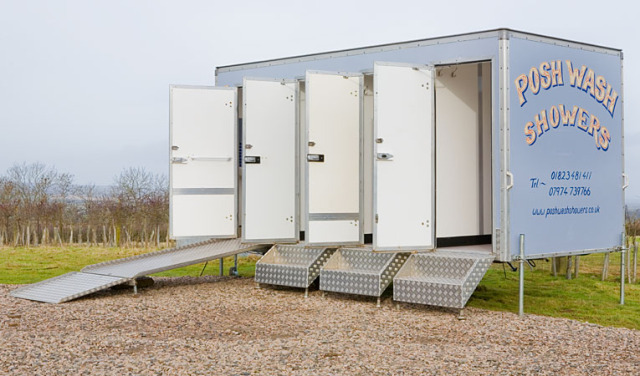 Pop-up showers on location at dirty events are one thing, but typically limited showers are available for event-goers at a summer music festival or outdoor event which can result in long lineups which make feeling dirty a more feasible option. However, with the Shower Village offered in the UK; dirty event-goers can wait in luxury and comfort until it's their turn to step into one of the available shower bays to clean up their act. Since naturally, it's unlikely that Posh Wash can provide enough showers to accommodate all outdoor festival or event attendees, they make it worth everyone's while to hang around in comfort until it's time to step into a shower. 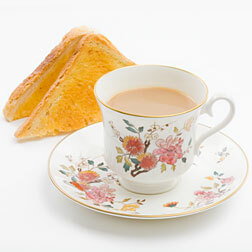 Dirty attendees buy a ticket to enter Shower Village, where they can relax with a cup of tea and toast until their number is called. 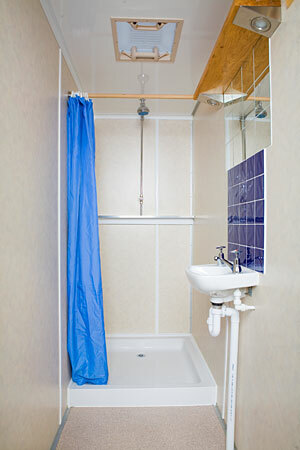 A Shower Village setup by Posh Wash can include 4 bay, 5 bay or 6 bay showers; the Shower Village café; and attendants to monitor the showering schedule and ensure that the showers are kept clean. Want To Make Tea Like A Science Nerd? Porta potties kicked up a notch! Great idea! But I wonder what happens when a particularly filthy person uses the shower. Does the next person in line have to shower in a dirty shower? Perhaps there is some sort of attendant that hoses off the stall before someone else comes in?